iCloud To Get Photo-Sharing, Retina MacBooks Coming? The iCloud is a very nifty service by Apple to backup and store files online with. The service has been around for a while now. So it is not a surprise that Apple plans to introduce a whole host of new upgrades for this service. According to the Wall Street Journal, Apple will allow iCloud users to share sets of photos with other users. Commenting on them will be possible as well. These features could be introduced at Apple’s WWDC this year. 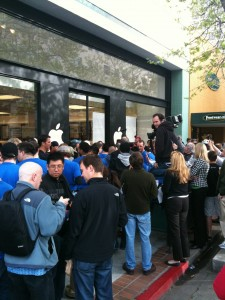 The introduction of photo sharing will make iCloud more competitive in this space. Apple is also working on a new feature that will allow iCloud customers to sync their videos via this service. Access to “Notes” and “Reminders” through iCloud.com will also be offered. Apple will have to stay quite cautious with the upgrades it plans to offer to keep storage costs under control. iCloud could, and should, get a whole lot better though. iCloud is not the only thing that Apple is thinking about upgrading. MacBooks are rumored to be in line to get a major upgrade as well. We have been hearing a lot of rumors about the future MacBooks. According to Bloomberg, the new Apple laptops will have a slimmer design with Ivy Bridge processors on-board. To achieve this thinner design, Apple is expected to ditch the optical drive. A new rumor suggests that MacBooks could get a retina display. They will have the latest Nvidia graphics as well (possibly Nvidia GT 650M). Buyers should be able to play some decent games on these laptops. These are just rumors at this point. If true, Apple laptops are going to get a whole lot better. 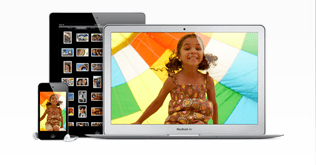 Macbook Air: Goodbye Optical Drives?